You spend every waking moment thinking about how you can keep your pizzeria ahead of the competition. You update your menus, add outdoor seating and introduce creative cocktails. But when was the last time you paid attention to your restroom? Admit it. At some point in your life, you've visited a restaurant that had a really killer restroom and told at least a few people about it, if not more. So why is your bathroom so boring when the rest of your pizzeria rocks? I recently met John Flushberg, author of BathRoom Profits (see the end of this article to enter to win your own copy), who had a lot to say about how you can use your bathroom to both impress guests and spread the word about what's happening in your pizzeria. The Pizza Insider: John, you write extensively about how bathrooms are underutilized profit centers in restaurants. What do you mean, specifically? John Flushberg: Business owners often do not include their bathrooms into the overall marketing strategy for their business. They think a clean bathroom alone will do the trick. However, the bathroom is the area where the business owners have all the undivided attention of their customers. Nobody visits any restaurant (including pizzerias) with a high expectation of what might happen if they visit their bathroom. Nothing is easier to WOW your customer with than an unexpected, inspired and happy visit to the bathroom. "You have to see their bathroom!" is the key here. 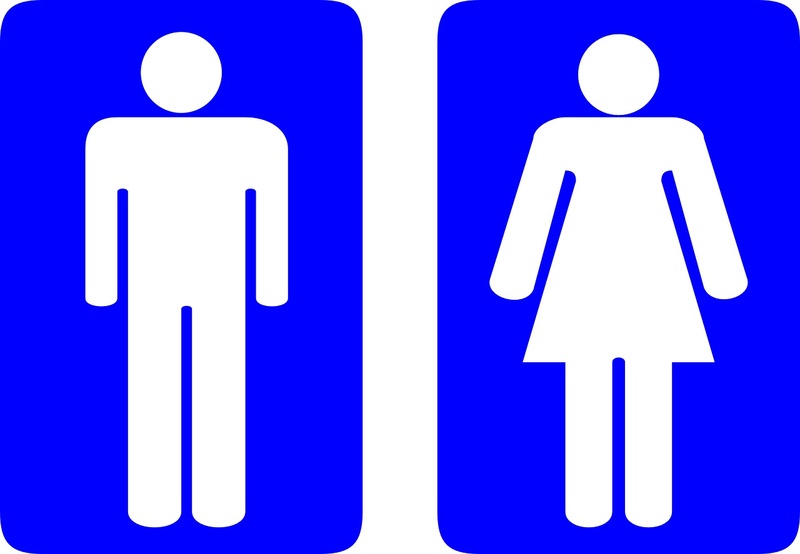 The Pizza Insider: What are the main reasons most restaurants underutilize bathrooms? Flushberg: The main problem is often either the "avoidance strategy" or the "delegation strategy." A lot of owners get busy advertising how good the food is and how fast it's delivered, but they usually don't think it really matters to focus too much on an "experience bathroom." The bathroom ends up being neglected or delegated. Business owners who get it know that the bathroom should never break the customer experience in their venue and that is has to be one of the driving forces--to be proud about their business. If the owner can create a bathroom experience to be proud of, the employees will match that, and doing related tasks to the bathroom will actually become fun! The Pizza Insider: What are some of the easiest ways that pizzerias can improve their bathrooms today? Flushberg: There's so much room to create word-of-mouth marketing with bathrooms. Since most of your competition will never think about this, you can create almost an unfair marketing advantage without the need to spend a fortune. Impress your customers and make them feel like your bathroom is one of the nicest ones they’ve seen in a long time. The most important advice I give owners of restaurants and pizzerias is to find and match their theme. So if you have a small and rather simple pizzeria, your bathroom should reflect the simplicity of your place. If you are a gourmet pizzeria, your bathroom should reflect that you are providing extraordinary pizzas and create some sort of feeling of the customer being in a bathroom they have never been in before. The Internet will give you a neverending stream of "weird ideas" to help with your creativity. Don't go overboard with the outrageous factor, though. Always match your pizzeria's theme. Consider having a local artist paint a mural in the bathroom that matches your theme. Your guests will talk about it, and you'll be supporting the arts. 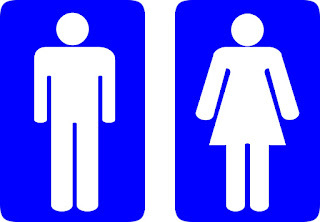 Get away from the typical man and woman symbols and use pizza symbols to get creative with your bathroom door signage. Here's an example of how a gas station bathroom became famous (click here to watch). If a gas station can make this work, it should be a piece of cake, sorry...pizza, to do it for a pizzeria! Thank you Liz for the interview and publishing this!